Developers were adding New MVC Views to the web application project manually and that is an anti-pattern. 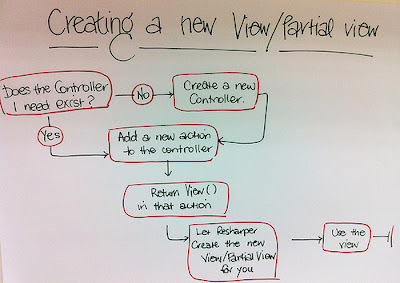 We want to make sure that Controllers own Actions that own Views that are bound to strongly typed view models. This is where this process comes from. ReSharper is required in this process.